Console to iOS conversions are often compromised affairs, unless the developer takes drastic action to remould the original experience for the new format. Blue Toad Murder Files: A Touch of Mystery developer Relentless Software has done nothing of the sort – because it didn’t need to. 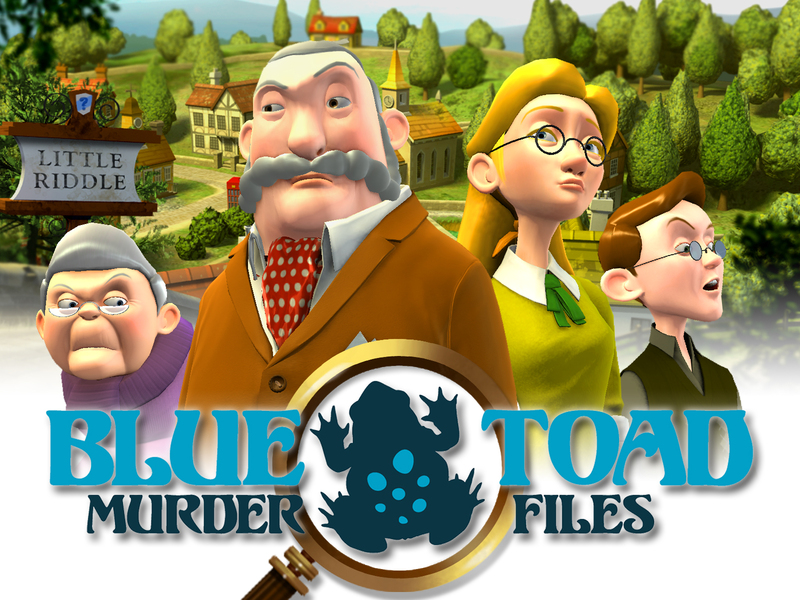 Blue Toad Murder Files: A Touch of Mystery is a gentle mini-game compendium posing as a light-hearted murder mystery. It’s perfectly at home on iPad. As a quintessential mid-20th century English detective – or at least the kind you’ll find in any English fiction of the time – it’s your task to solve a murder in idyllic Little Riddle. This apparently tranquil town is populated by a number of stereotypical characters, many of whom have a secret or two to uncover. There’s the grumpy hotelier, the backwards miller, the babbling old lady, the distrustful inspector, and more. While it’s pitched as a whodunnit, most of your interactions with the game take the form of logic, memory, or mathematical mini-games. Most are fairly simple to solve once you grasp what’s required of you. The real skill lies in solving each one correctly and within the allotted ‘gold medal’ time – usually a little under two minutes. The true appeal of the game, though, is in the between-puzzle story sections, which are shot through with a charmingly good-natured sense of humour. In particular there’s a well-spoken narrator who’s always ready with a knowing quip or a friendly put-down. Don’t think that these story sections are superfluous either. At odd points throughout the game you’ll be asked to fill out a multiple choice questionnaire, testing whether you’ve been paying attention to what each witness or suspect has told you. Admittedly there’s not a great deal of replayability once you’ve completed the three episodes on offer here. Performance was also a little sluggish on our third generation iPad, with frequent pauses in between scenes, but in a game of this kind that’s a lot more forgivable than in other, more action-oriented games. With so many pick up and play arcade action games on the App Store, Blue Toad Murder Files: A Touch of Mystery represents a welcome change of pace. It won’t win any game of the year awards, but it’s a warm, funny, and gently taxing puzzle-whodunnit – and it’s perfectly suited to iPad.